Can you tell HANA on IBM Power Systems fact from fiction? There are some stories circling about IBM Power Systems not being the optimal platform to run SAP HANA database. That simply isn’t true. 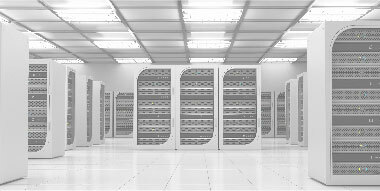 In fact, SAP HANA runs faster with more flexibility and reliability on Power Systems than on x86 platforms. Here are the facts to set the record straight. Fiction: SAP HANA on IBM Power Systems is different from SAP HANA on x86. It requires a different and proprietary version of HANA for which IBM must provide development and bug fixes and patches and runs only on Big Endian Linux on an IBM-supported version of SUSE Linux. Fact: HANA is HANA and Linux is Linux, regardless of the hardware. Choose your hardware wisely. It makes a difference. SAP is hardware agnostic. SAP, and ONLY SAP, develops and tests HANA code on both x86 and Power with a single code tree for both platforms. SAP releases new SAP HANA versions, bug fixes and patches simultaneously on both platforms. HANA is HANA, and it all runs on Linux. HANA 2.0 on Power Systems supports little endian, just like x86 platforms using SUSE Linux 12, which SUSE maintains, not IBM. So fundamentally, the SAP HANA database itself is the same regardless of platform, but performance and organizational benefits greatly depend on the infrastructure it runs on. To experience the most flexible environment for SAP HANA, with industry-leading reliability and outstanding performance, you need a powerful infrastructure designed for mission-critical databases. This is where HANA on Power Systems differs greatly from x86. IBM Power Systems offers four strong differentiators: reliability, flexibility, total cost of ownership and performance. Long known as the “mainframe” of open systems, IBM Power Systems continues to be recognized by clients, consultants and the press for the nonstop operations it delivers. The ITIC Global Server Hardware and Server OS Reliability Survey rated Power Systems #1 in every major reliability category. Suite on HANA and S/4HANA demand continuous operations as clients are running their businesses on these platforms. Only Power delivers! With built-in virtualization from IBM PowerVM, Power Systems can run up to 8 SAP HANA production instances per server, with up to 10TB LPARs for SAP BW and BW/4HANA and up to 16TB per Suite on HANA or S/4HANA instance. With x86 and VMware 6.0 and later, you can have to check a matrix filled with caveats and limitations to figure out what can share infrastructure with each instance. You are limited to 4TB at best and, in some situations, are limited to a single HANA production instance and nothing else on the system. PowerVM is easily managed through a single interface and integrates with OpenStack applications and tools, allowing clients to use familiar management tools. Finally, our clients are given something that nobody else receives: the ability to run applications, both production and non-production, SAP and non-SAP, side by side in the same system. Organizations are always trying to decrease costs, especially when they are pursuing digital transformation and data center modernization with SAP HANA. 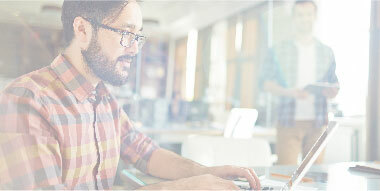 Because IBM Power Systems built-in virtualization allows clients to provision more SAP HANA production instances per server than on other platforms, clients can experience lower operational costs from server consolidation. Not only does this result in savings on hardware acquisition costs, but costs associated with data center footprint, energy and management are reduced as well. For example, a Brazilian manufacturer choose Power Systems over x86 for SAP HANA because the IBM solution reduced their physical server footprint, resulting in simpler systems management, reduced facilities costs and lowered TCO by 27 percent. Proven for HANA workloads, customers are seeing the performance advantages. Coop Group saw five times better performance with 85 percent fewer cores than the x86 HANA system they had been using for analytics. Pfizer implemented BW HANA on Power Systems, driving the same response time with one-fifth of the systems used by x86 systems in their respective proof-of-concept runs. United Breweries completed back-end jobs 50 percent faster. I hope that this provides some clarity on SAP HANA on IBM Power Systems. While SAP HANA is SAP HANA, all infrastructure is not built for the future. Don’t believe everything you hear. Read our FAQ to get the real answers.